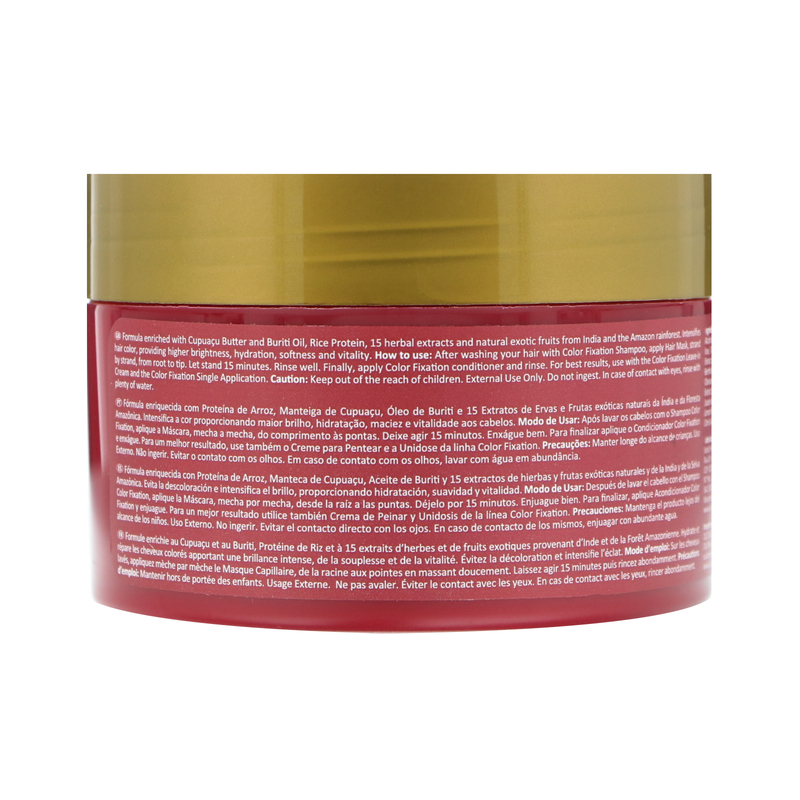 A concentrated blend of herbs and fruit butters moisturizes and gives shine, softness and vitality to brittle and damaged hair. Protects and promotes long-lasting color. 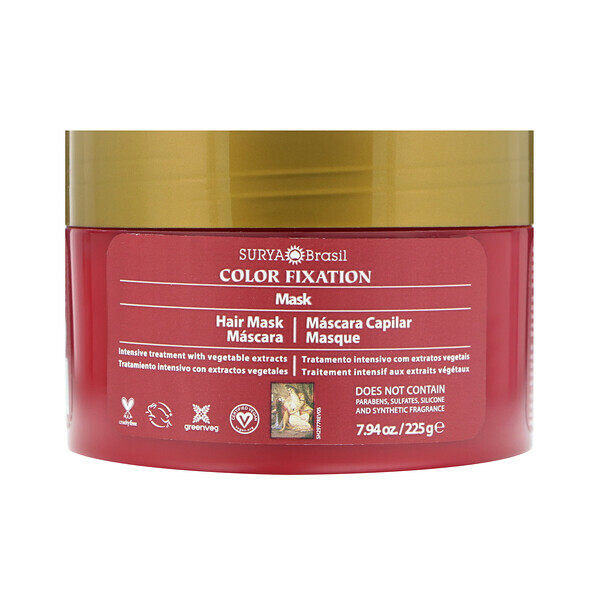 How To Use: After washing your hair with Color Fixation Shampoo, apply Hair Mask, strand by strand, from root to tip. Let stand 15 minutes. Rinse well. Finally, apply Color Fixation conditioner and rinse. For best results, use with the Color Fixation Leave-in Cream and the Color Fixation Single Application.